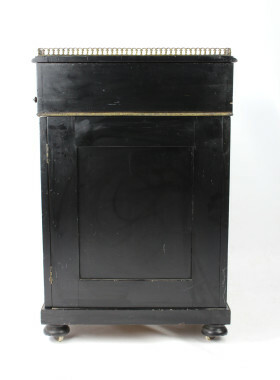 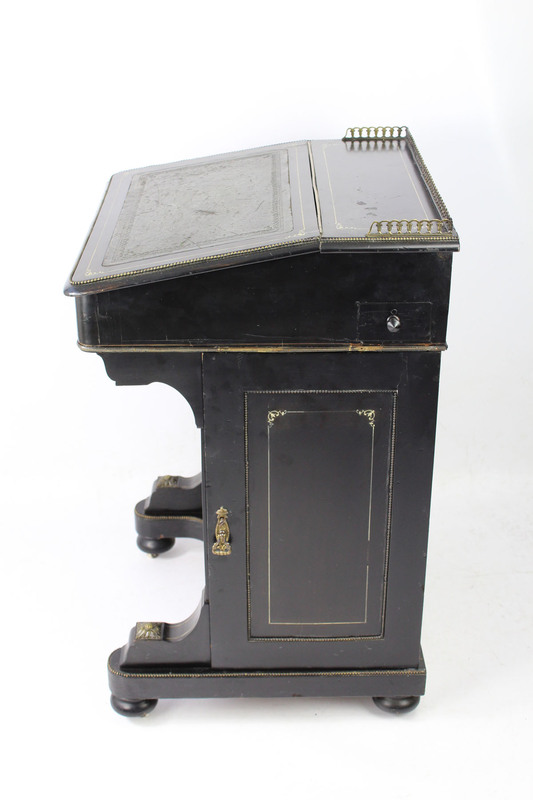 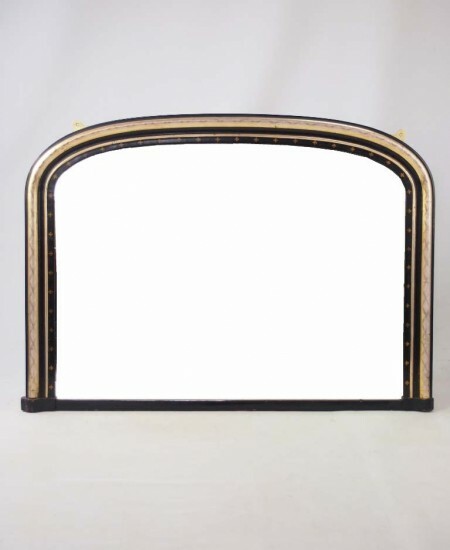 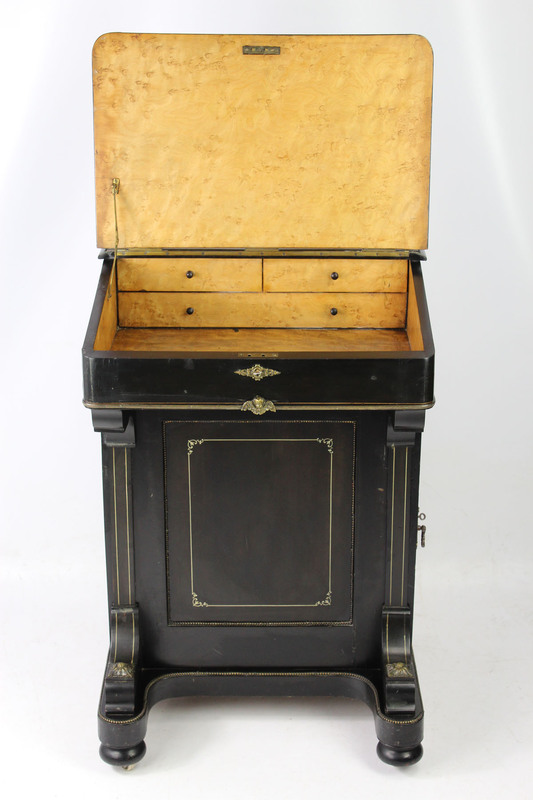 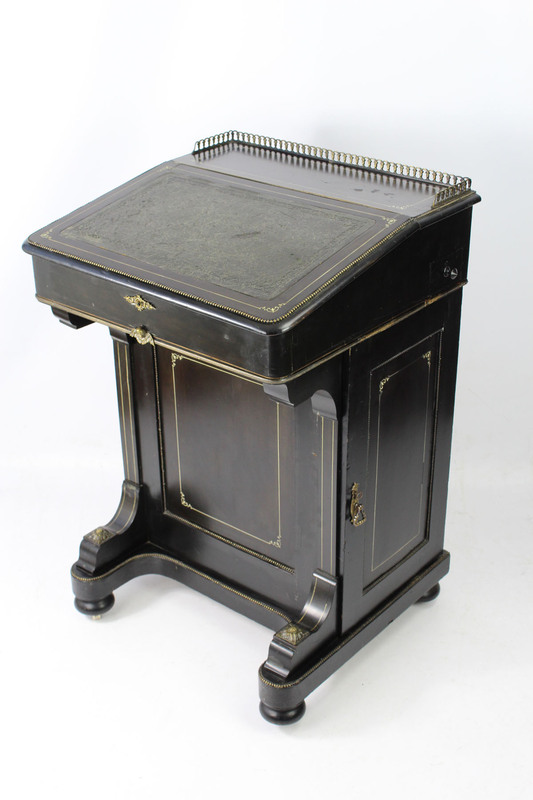 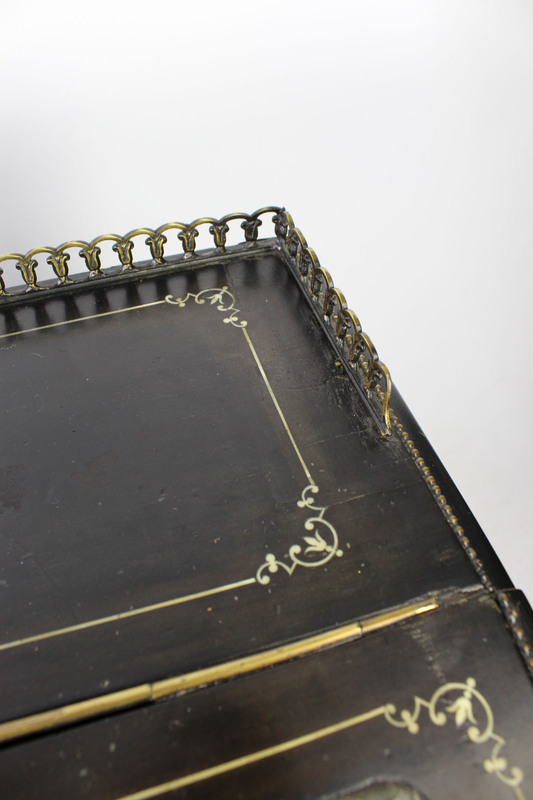 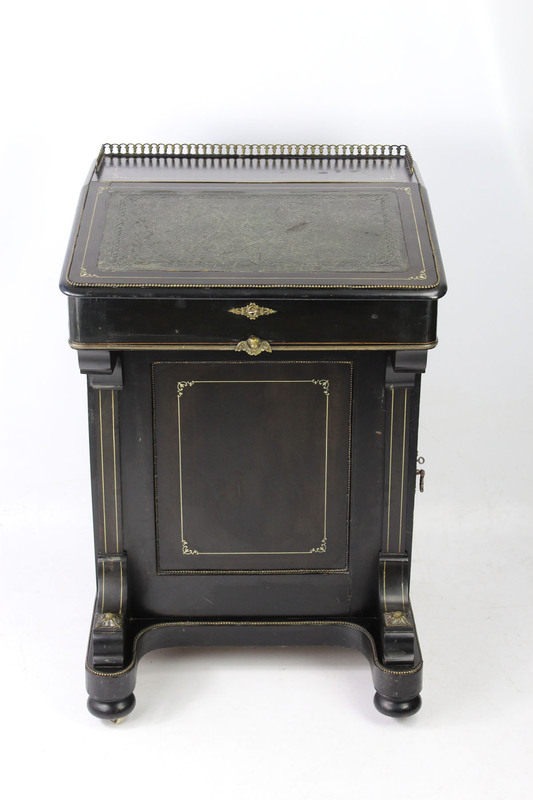 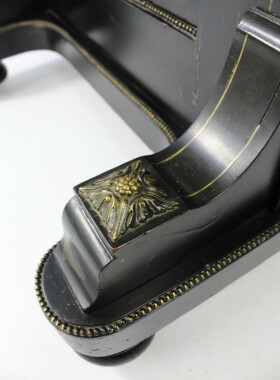 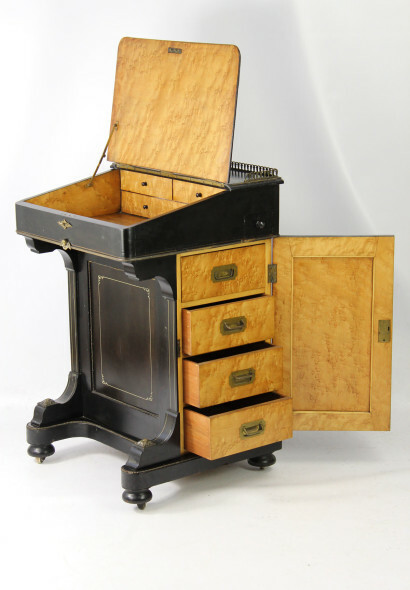 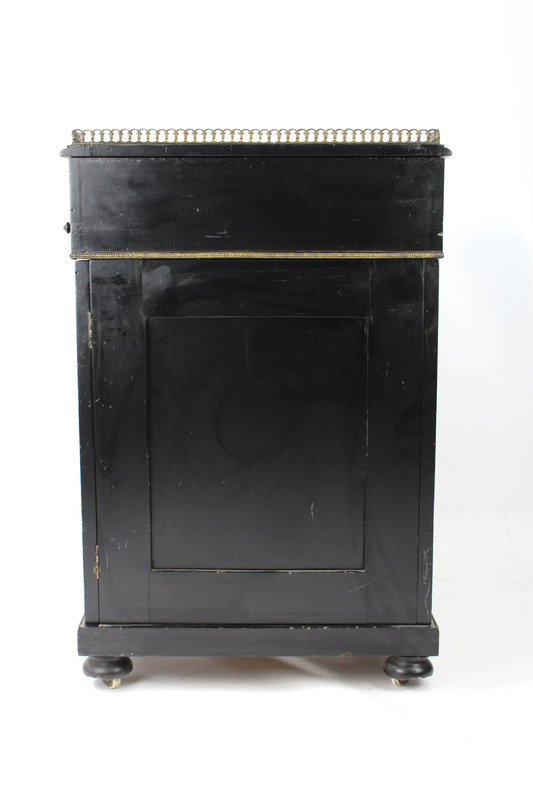 A charming and good quality antique ebonised and inlaid Victorian Davenport with a secret drawer. 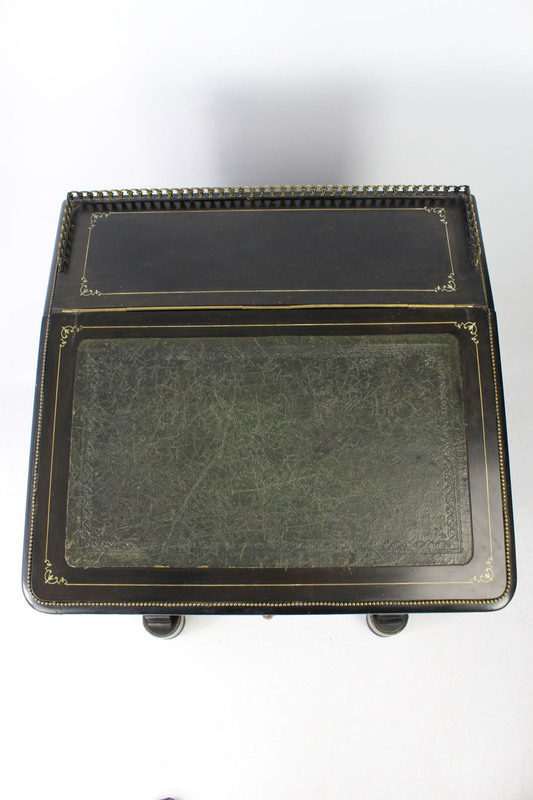 A charming and good quality antique ebonised and inlaid Victorian Davenport with a secret compartment. 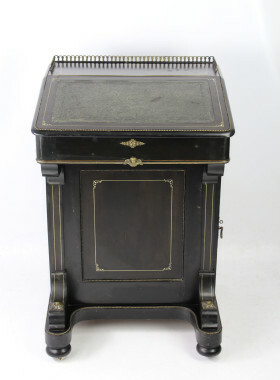 With a lift lid desk with 1 dummy and 2 working drawers and 4 drawers behind a panelled door. 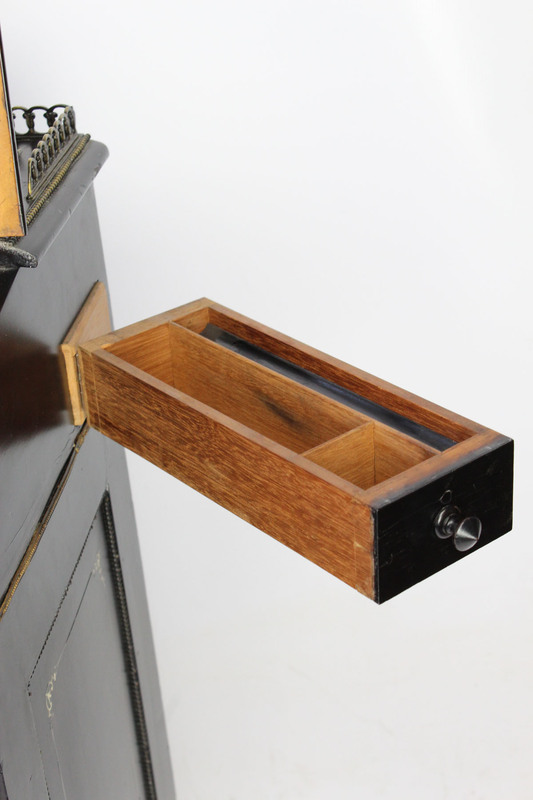 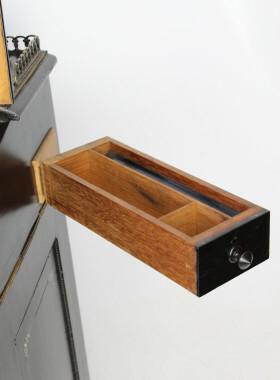 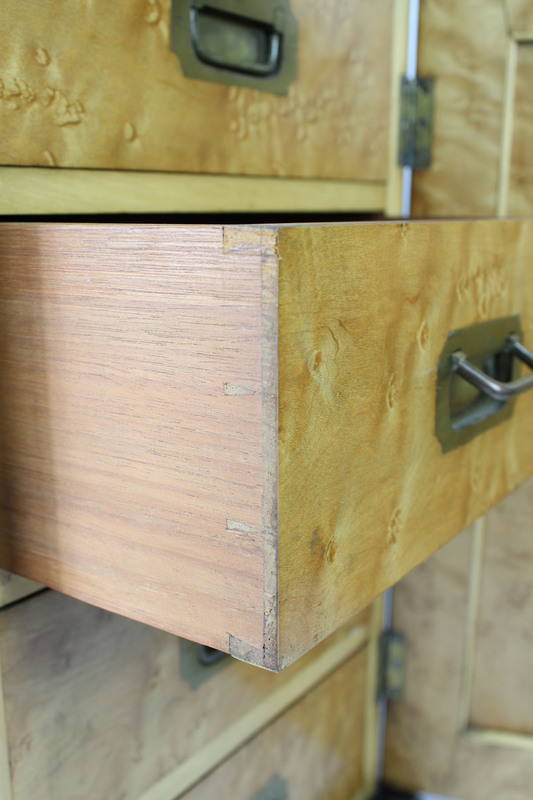 The dummy drawer handle to the interior can be removed to allow the secret compartment to the side to be pulled out, and folded back. 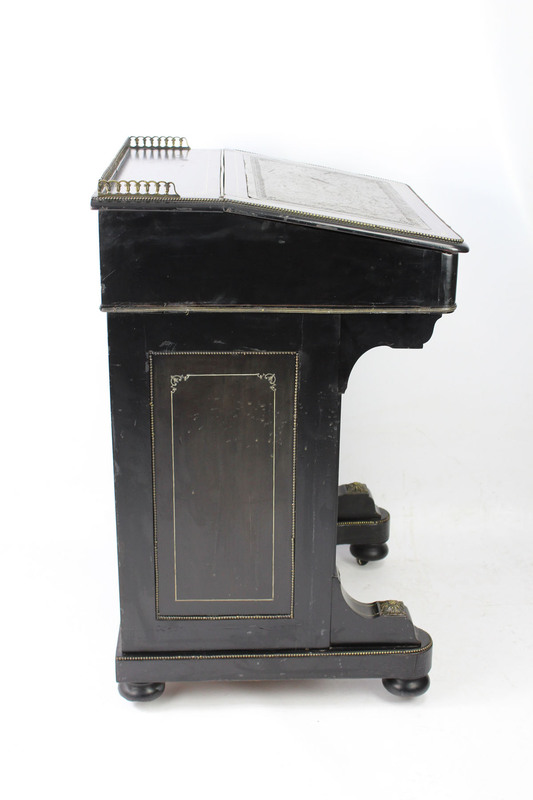 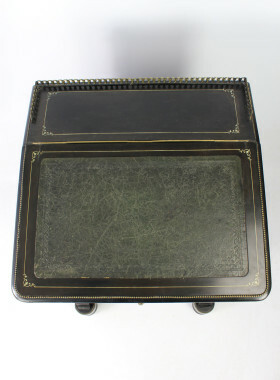 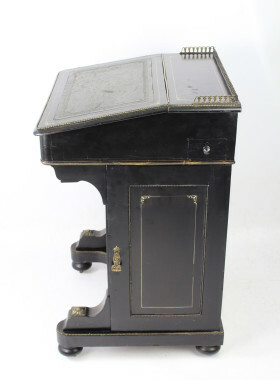 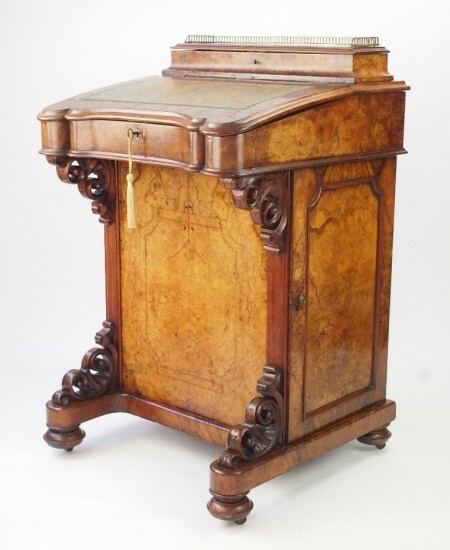 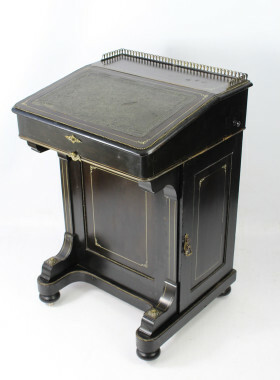 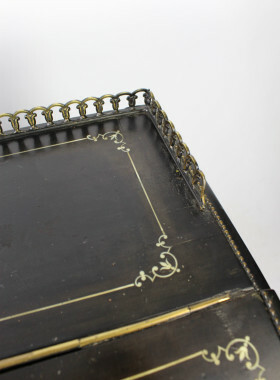 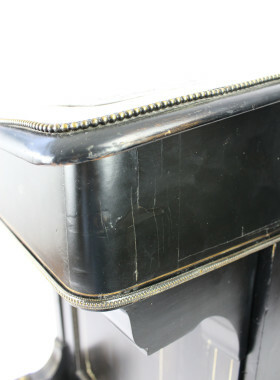 To the top there is a lid with a leather writing surface and it is trimmed with a brass gallery. 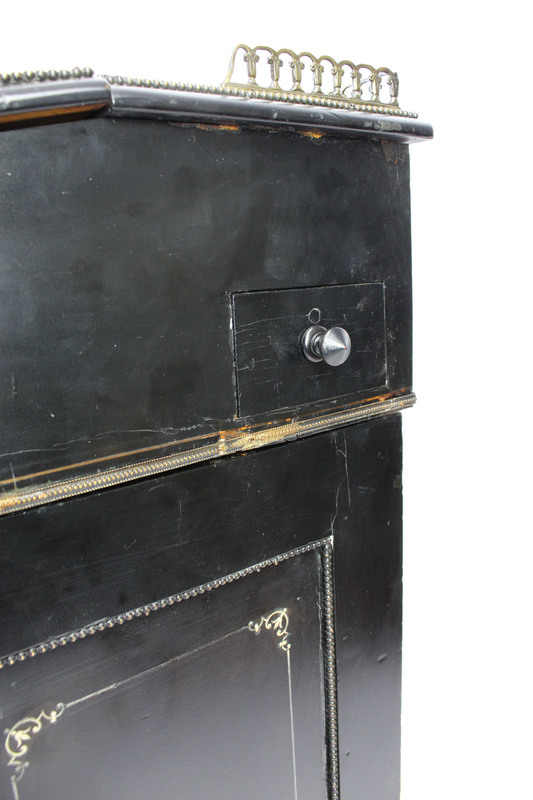 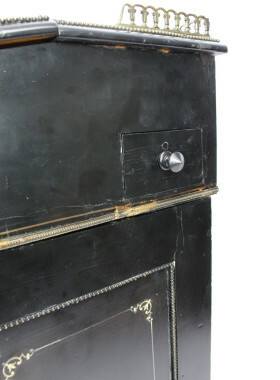 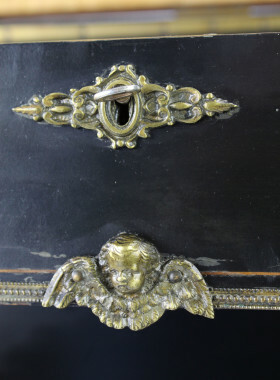 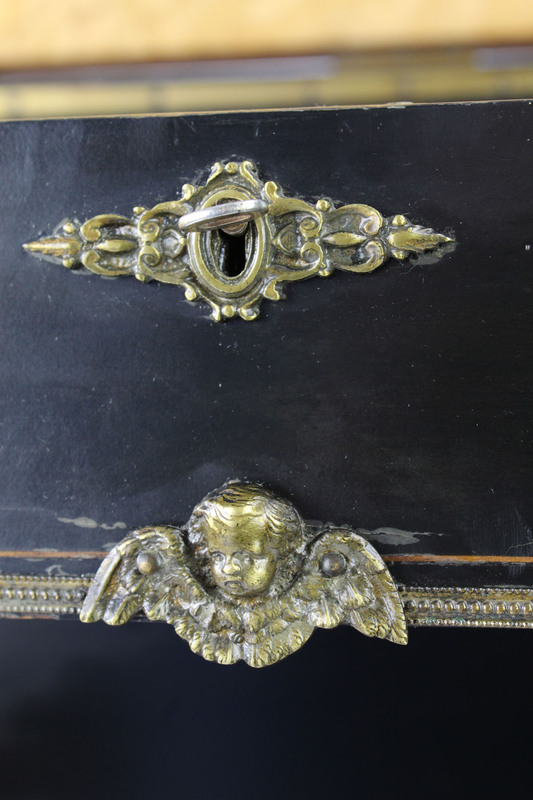 The cupboard and top both have a working lock and key, to the top there is a fancy escutcheon above a brass cherub. 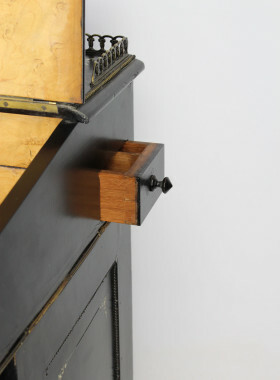 To the front it has 2 scroll brackets with brass caps. 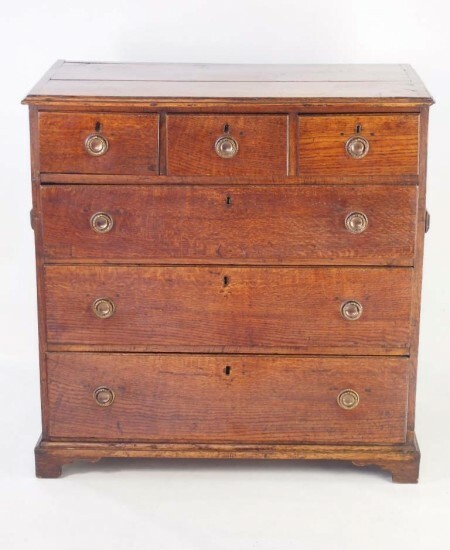 The inside of the interior and drawer compartment are lined with burr maple, the drawers with recessed brass campaign handles and lined, the drawers lining are in walnut, all beautifully dovetailed. It stands on cup feet with casters. 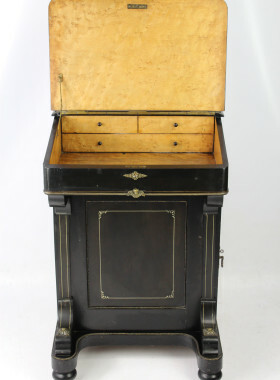 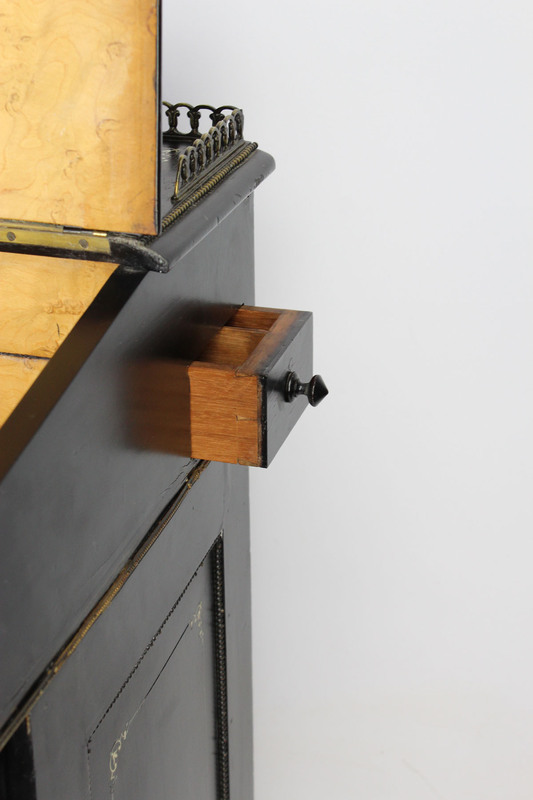 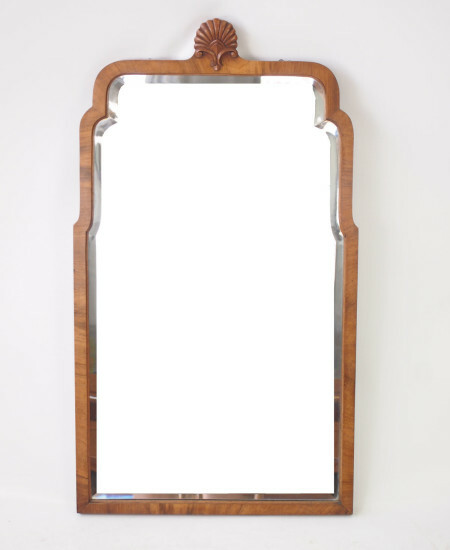 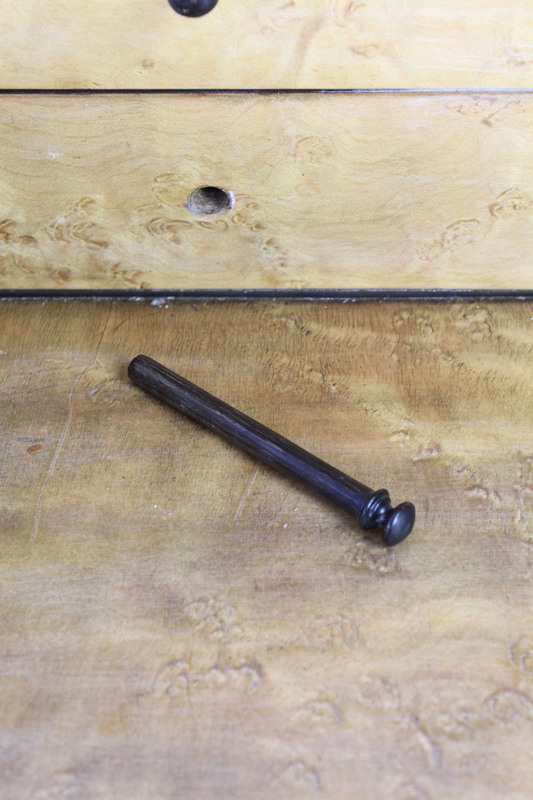 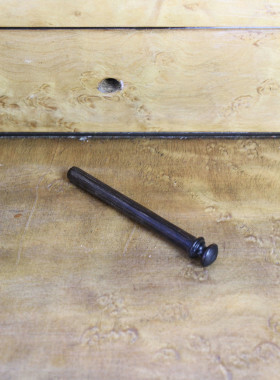 A really good quality Davenport dating from circa 1880, which has at some point been restored. 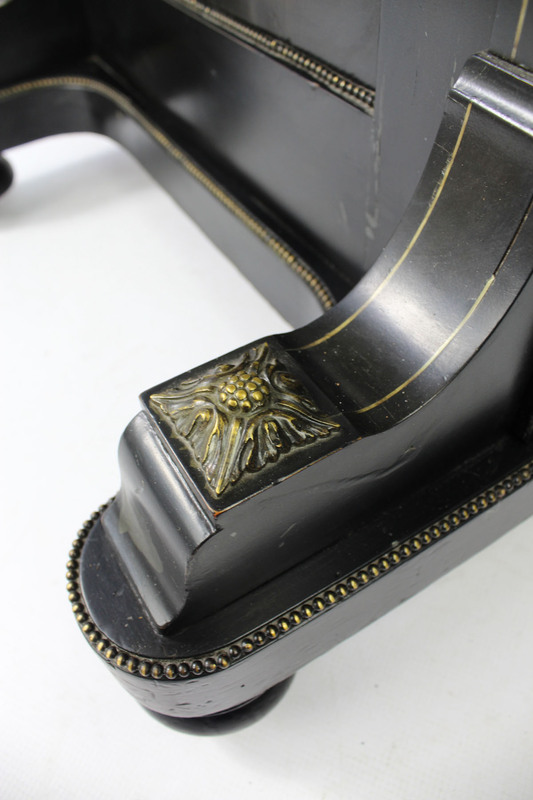 This piece has at some point been fully restored. 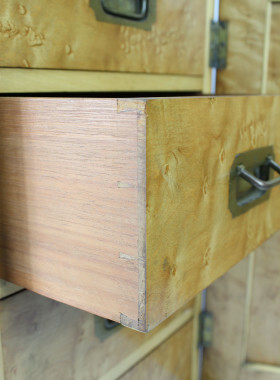 There are some small areas of veneer loss and some old repairs to the veneers on the top as to be expected with age. 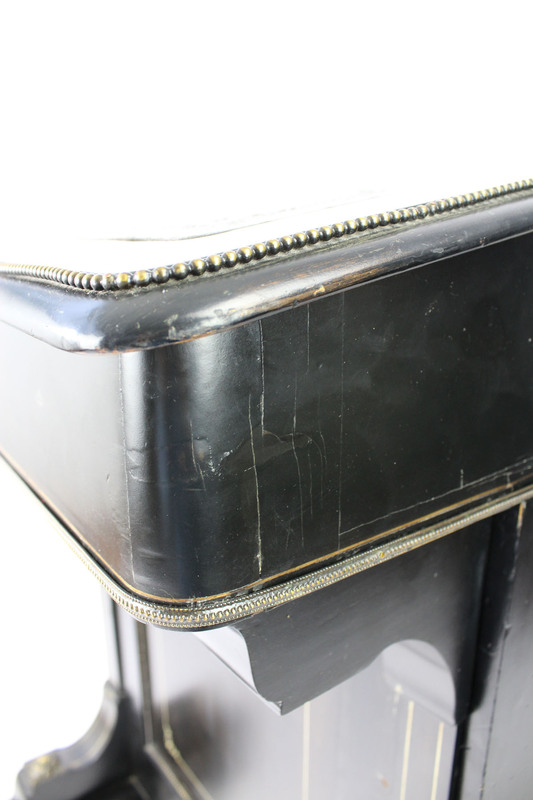 The brass arm to the compartment has been mended at some point.